IBIS Styles Dubai Jumeira, a hotel popular with both business and leisure travellers, hopes to further increase occupancy following a good last year. 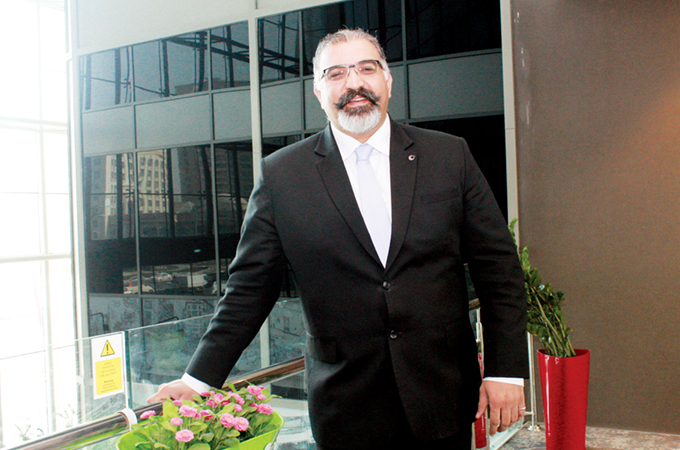 The hotel achieved 89 per cent occupancy in 2018 and this year it is expected to have touched 92 per cent year to date, says Muhammad Haider, general manager. "Ibis Styles Jumeirah is a unique and funky concept with vibrant interior and more than 20 different sizes of rooms with two categories. It is the best fit for both business and leisure travellers," continues Haider. Speaking on the hotel’s expected performance this year and in 2020, Haider says: "It will get better. I can foresee a decent increase in RGI and ARI – up to 5 per cent compared to 2019, precisely for an economy brand such as ours." The hotel is located in close proximity to Sheikh Zayed Road, Lamer Beach, Etihad Museum, Al Jafiliya metro station, Dubai Mall, World Trade Centre and many more attractions. The property features some great dining options as well. Apart from its all-day dining restaurant Street Café, it has North Indian speciality restaurant Khana Khazana and Pippin Hot, which offers Italian and Chinese cuisine. The UAE, India, CIS, Saudi Arabia, France, the UK, Germany, Turkey, Kazakhstan, Egypt, Italy, Oman, Ukraine, China and the US were the important feeder markets for the hotel. "We might see a similar trend this year as well in nationality mix. Our hotel competes neck and neck with four-star hotels in the vicinity. The team in Ibis Styles is so motivated that they feel proud and happy in competing with brands, which are higher in category and ranking,” says Haider. On forward bookings for summer months, he says he is optimistic that there will be a strong demand this year. Elaborating on his plans for this year, Haider says the hotel will look to enhance its ranking on OTAs and social media platforms by using new digital marketing techniques. "We are encouraging our associates to gather innovative ideas, implement the selected ones and convert these into unique guest experiences. "We’re also teaching values to all our associates and how to be thankful and happy,” he concludes.